Noel Bennett Photography: Lady Mayor of Stoke-on-Trent calls by with Genesis. The Lady Mayor of S-o-T called by today with her framed photograph of Genesis. 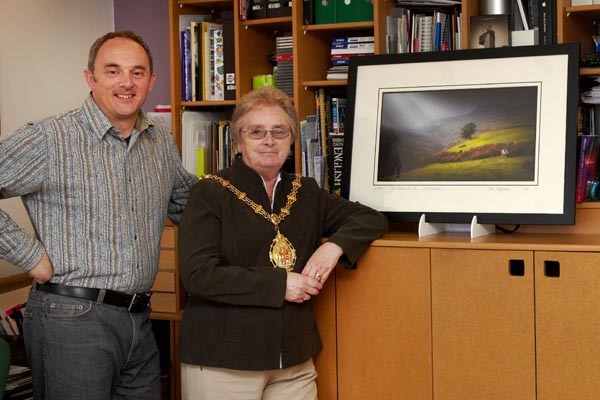 This was the 3 Counties Photographic Exhibition 2010 winning entry. I was asked to title, sign and number the work. All my photographs are limited edition prints of only 100 of each. Hopefully this will make them a little more valuable in the future! !